﻿ Best Price on Allamanda Hotel in Petionville + Reviews! 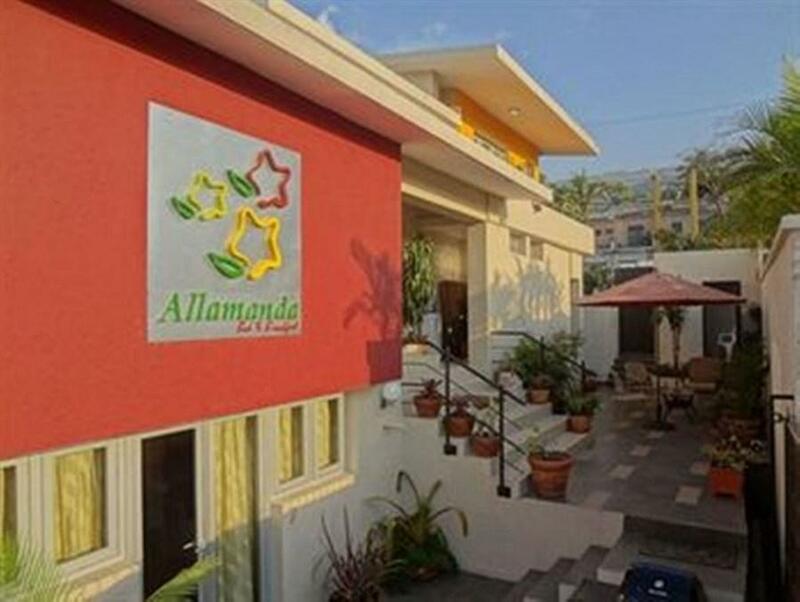 Allamanda Hotel is located 5 minutes’ walk from Saint Pierre main square and 5 mi from Port-au-Prince Capital City. It features a terrace, free breakfast and free WiFi. The rooms and suites offer basic décor, cable TV, desk and air conditioning. The bathroom features shower and hairdryer. The suite also has a microwave and a medium size fridge. This Hotel serves breakfast and can arrange dinners. The bar service is offered at the terrace. The bar service is offered at the terrace. Allamanda Hotel is 10 minutes’ drive from the National Palace and from the Jean-Jacques Dessaline main square. Toussaint Louverture International Airport is a 25-minute drive away.